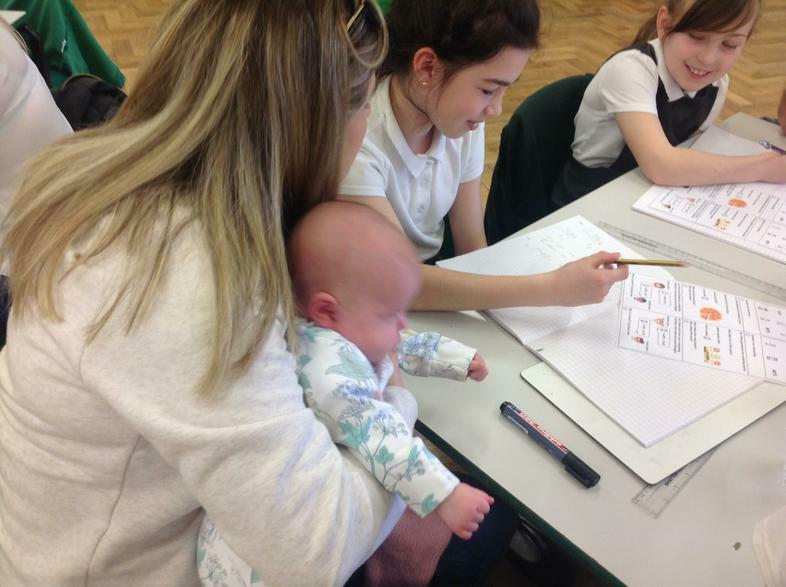 Mr Beer's session this afternoon saw the youngest visitor of the week - baby Rimmer was very good during her very first Maths lesson! 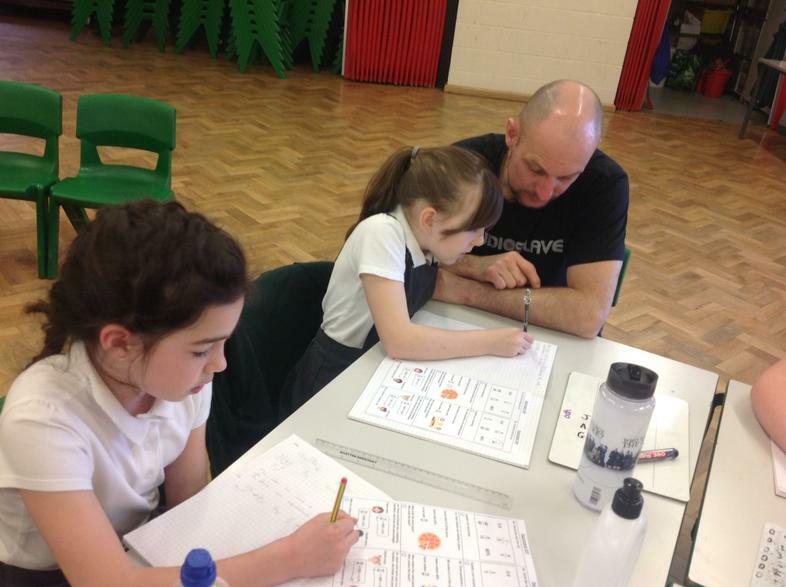 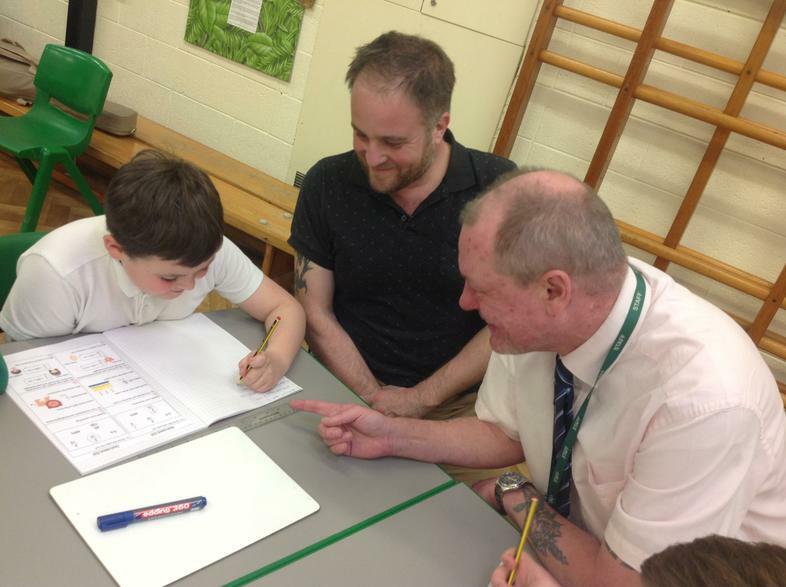 Mr Beer was showing the families how the children look at reasoning and problem solving. 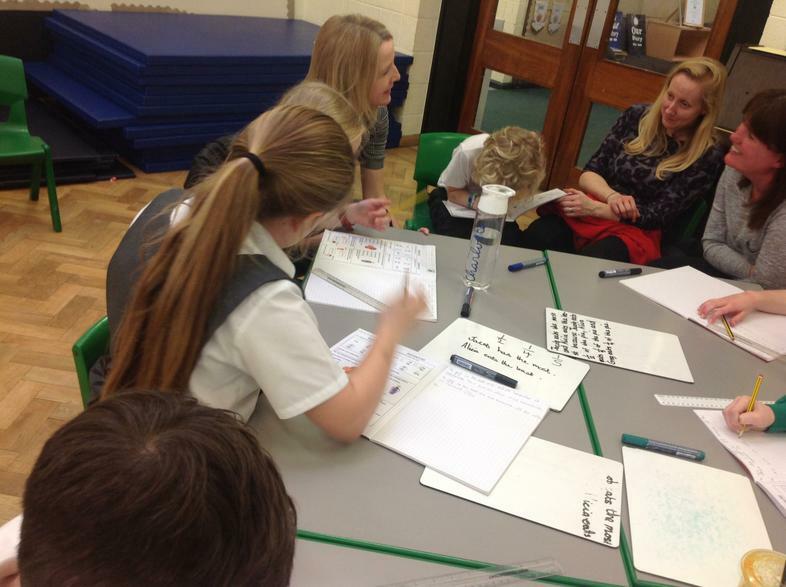 Kate from Y5 said "Our Come Learn with me session was really fun. 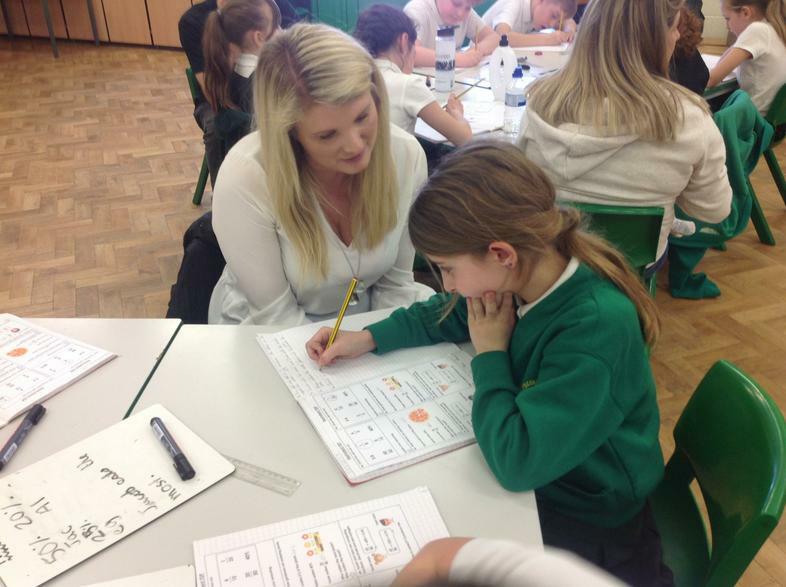 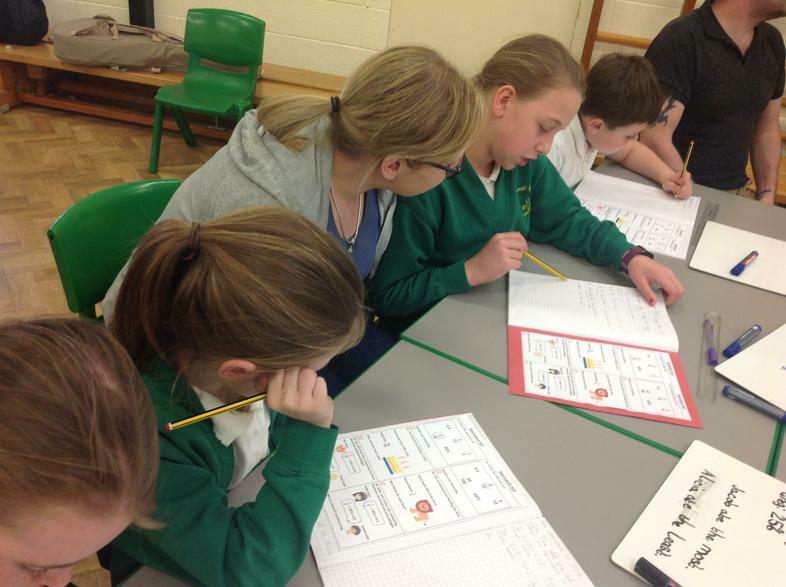 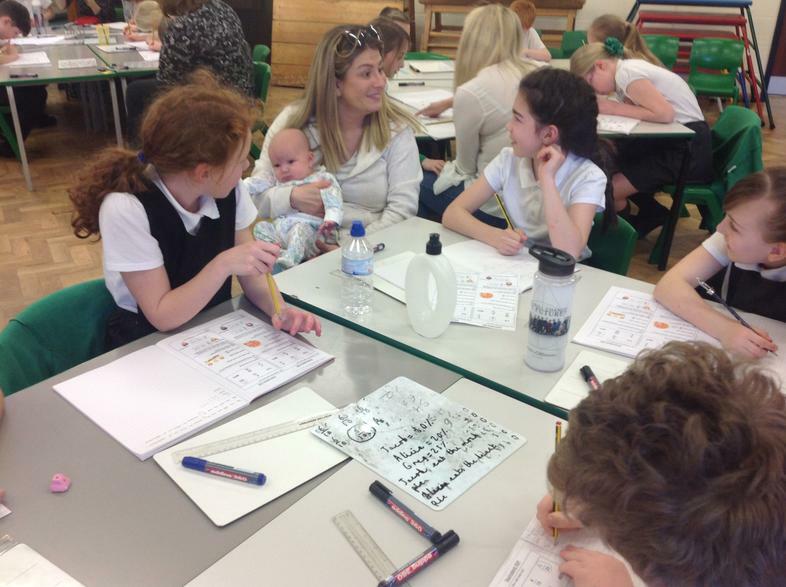 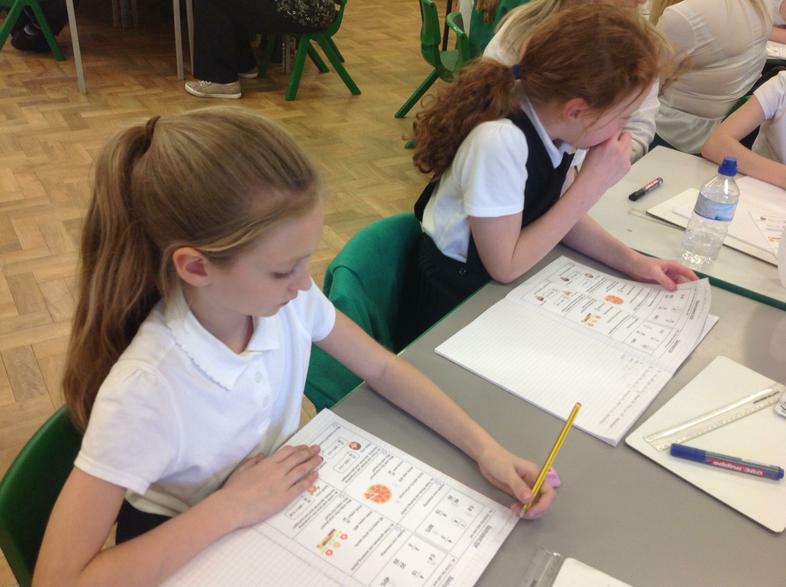 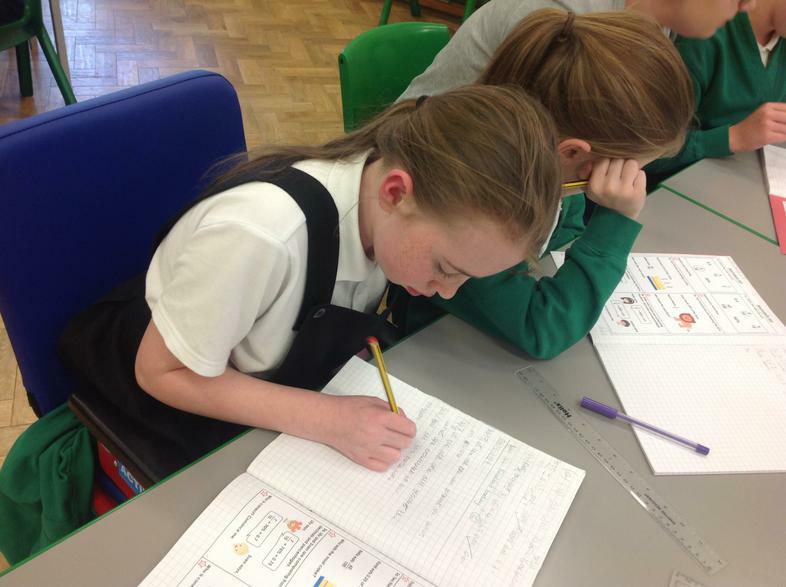 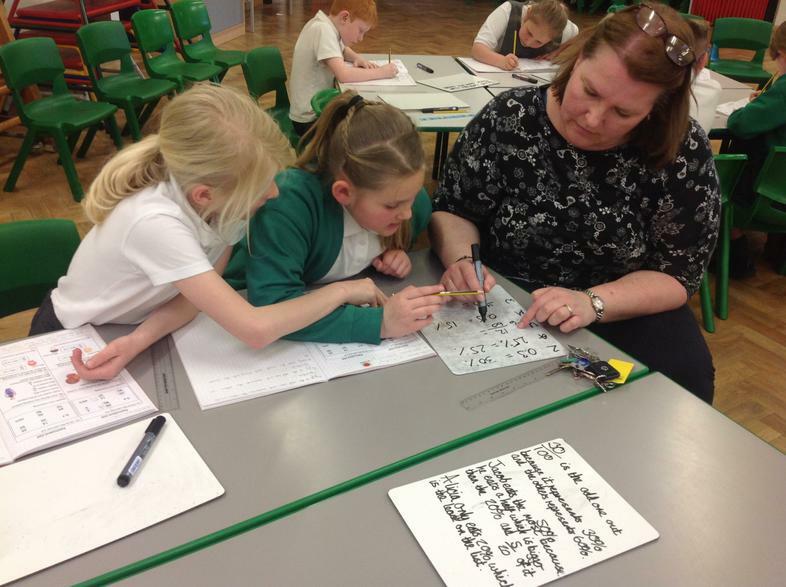 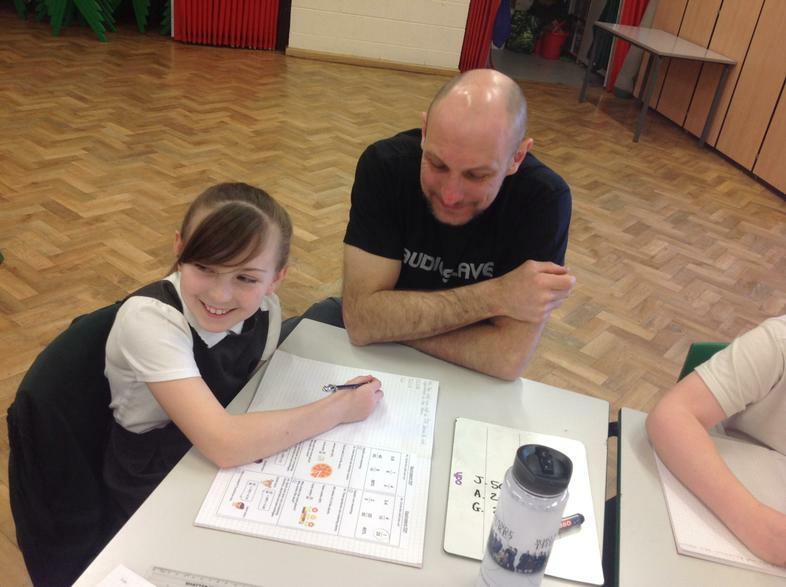 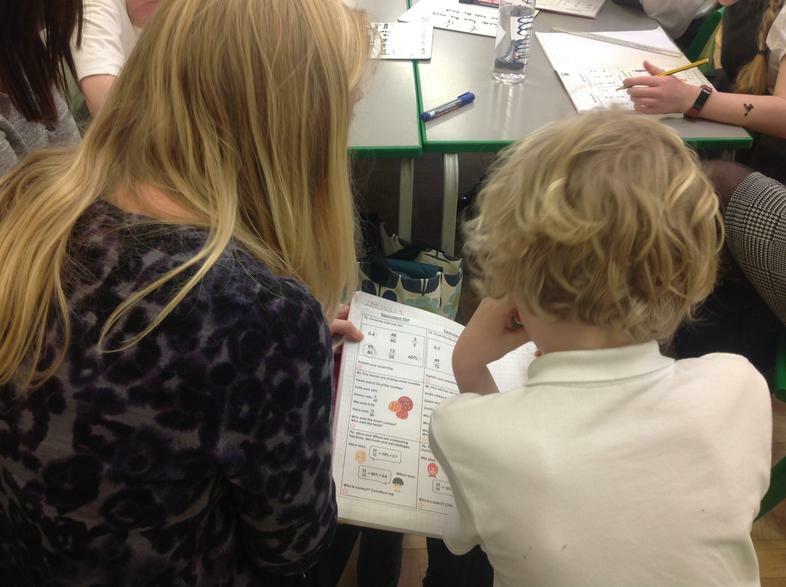 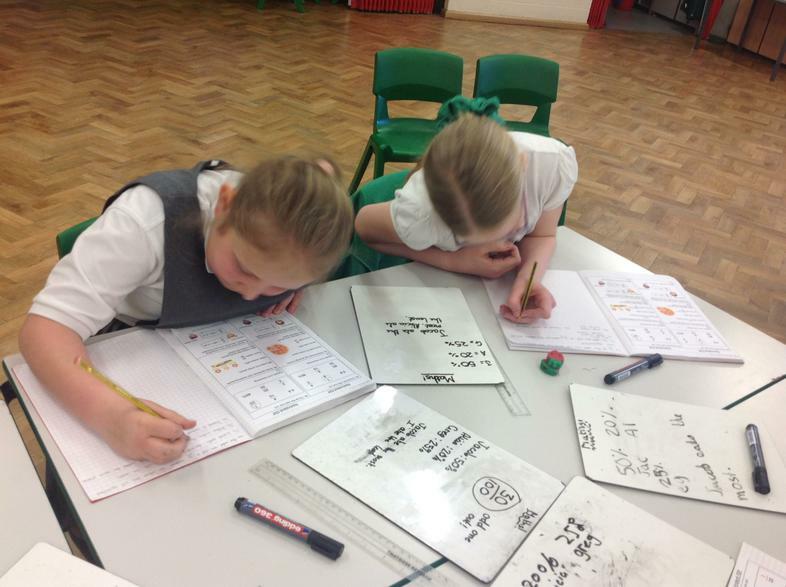 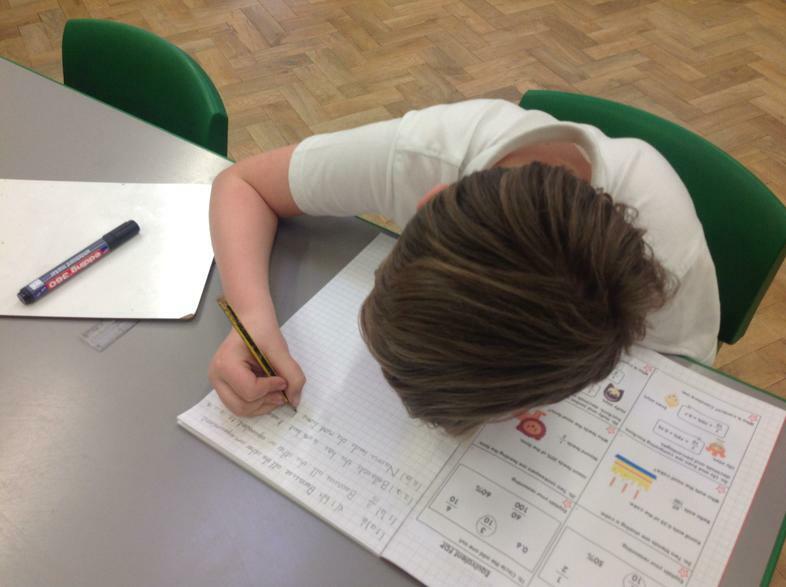 It was good to learn and do maths with the parents who came."